By James Gordon Clark in Discussion on 3rd Nov, 2014 . 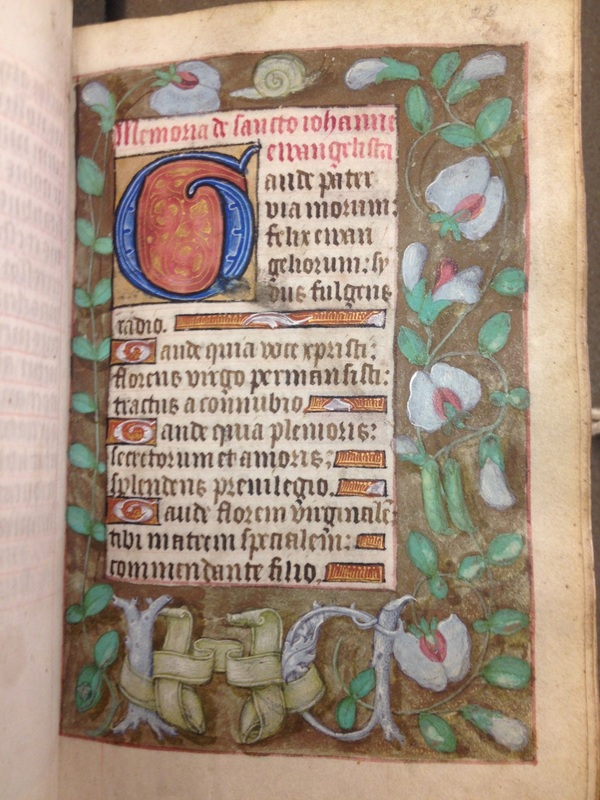 Books of Hours are perhaps the most familiar of all medieval manuscripts. Their intricate miniatures have become a universal symbol of European art and culture before the advent of the printing press – and the stock-in-trade for every producer of ‘traditional’ Christmas cards. They were the first books to be mass-produced: commercial workshops, centered on Flanders, with teams of professional scribes and artists, flooded fifteenth-century Europe with small-format volumes each in the same fashionable, decorative style but with the texts selected to meet the needs of the different regional markets. Buyers could be sure that their book would display the latest in continental artistry and at the same time conform to their own local liturgical usage. 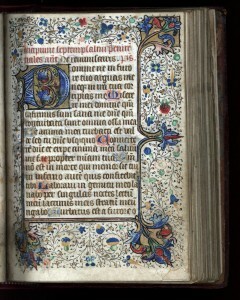 Despite being among the first books to reach right across society, from the educated, clerical establishment to the growing number of literate laypeople at the end of the Middle Ages, their generic nature means that it is rare for books of hours to offer direct insights into the men and women that owned and used them. It is exciting therefore to find two examples which, with a certain amount of legwork, can be connected to particular places and people not only at one moment in time but also over several generations. Remarkably, both books are preserved in the same collection, the Rare Books & Manuscripts Library of the University of Illinois at Urbana-Champaign. MS 76 is a Book of Hours dating from the third quarter of the fifteenth century, perhaps substantially completed in Flanders but finished – decorated – in England. Soon after it reached England, it seems to have come into the ownership of the Lytes, a Somerset gentry family of rising status. 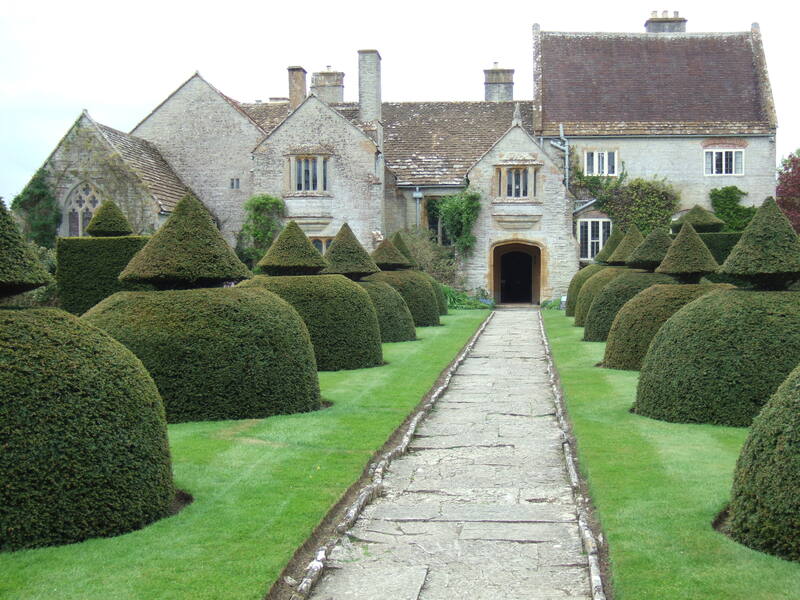 Their growing standing in the county and, apparently, at court, in the early years of the Tudors is reflected in the fine manor house they built on the banks of the River Cary near the village of Charlton Mackerell. 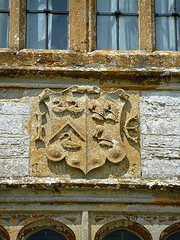 Lytes Cary – now in the custody of the National Trust – bears the arms – a chevron between three swans argent – of this successful family both in the stone reliefs of its facade and in its stained glass. The same arms are found in MS 76, which also includes a short genealogy of the Lytes, tracing their descent from the time of Agincourt. The liturgical calendar also records significant dates in the family’s history – marriages, births, deaths – over the course of the sixteenth century. It seems clear that this late medieval book was passed from one generation to another down to the Reformation, and beyond. Interestingly, it was adapted to meet the demands of rapidly changing times: the titles of the popes were scratched from the calendar but the record family events continued as did, presumably, the use of the prayers and devotions. It seems the book was still a point-of-reference for the family in its worship well into the seventeenth century: the dates of the festivals observed in their home village are noted in a hand of the 1630s. 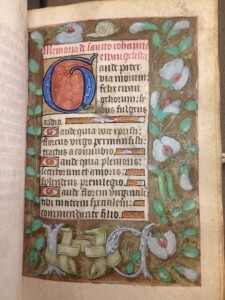 MS 140 is a book of hours also made in mainland Europe in the fifteenth century. A West Country connection can be deduced from the inclusion of the proper lessons for the commemoration of Saint Cuthberga (d. c. 725), the West Saxon princess-turned-nun whose shrine was at the Minster Church in Wimborne, Dorset. The Minster and Cuthberga witnessed a resurgence of popular devotion in the early Tudor period and was Lady Margaret Beaufort’s choice for the foundation of a chantry chapel in memory of her parents. 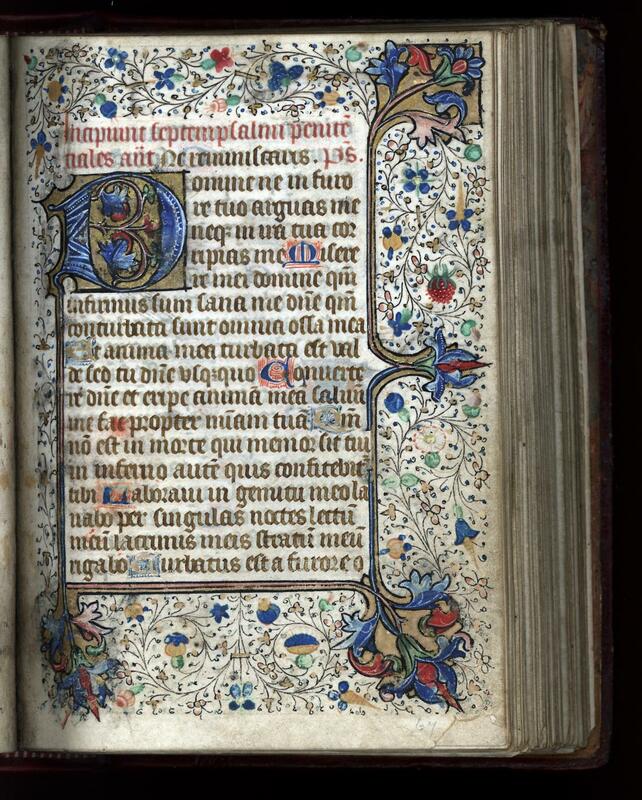 There is every likelihood that the book of hours was prepared for a pious reader with a particular devotion to the church at Wimborne. On the final leaf there is a late fifteenth century signature of one Richard Follette, who may be connected with the John Folet of Wimborne Minster who is found disputing property rights with another landowner in a document dated 1486 x 1515 (Kew, The National Archives, PRO C1/151/15). Both books call for further study not only for what they can tell us of private devotion but also as witnesses to the West Country experience of the religious changes – and the continuities – in the years before, during and after the upheavals of the Reformation. With thanks to Tad Boehmer and Dennis Sears of the Rare Books & Manuscripts Library,University of Illinois at Urbana-Champaign.